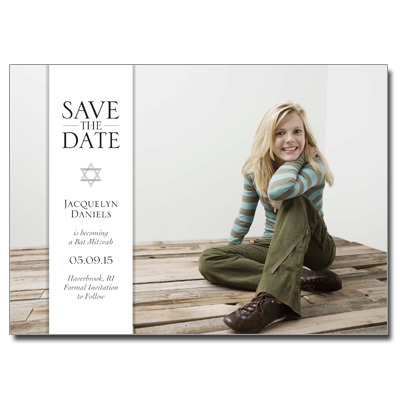 This save the date card is clean and simple, made unique by the addition of your boy or girls photo. 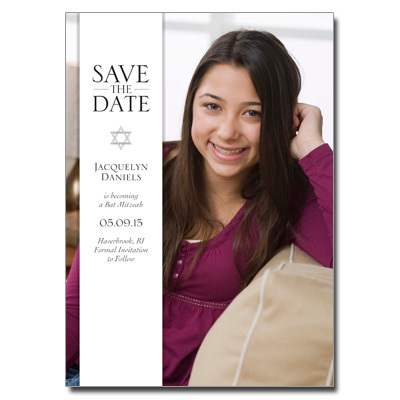 Perfect for Bar or Bat Mitzvah! Save the date measures 5x7. Comes with round stick-on magnets.